I say ‘inspired by’ because although the original artwork is Da Vinci’s, the reworking done by Dent-de-Lion is truly exceptional and incredibly unique. 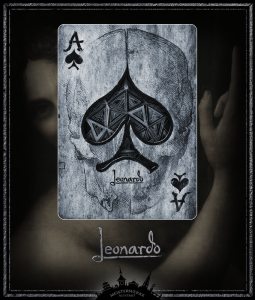 While other designers simply ‘copy’ the work of Da Vinci and print it onto playing cards, Dent-de-Lion took each portrait and modified it so that it became the two-sided court cards that we have come to expect. This in itself is worthy of acclaim, especially when you look at the minute detail in each and every card. To give this some perspective, the Kickstarter project was launched with a target of $18,750 USD in mind. 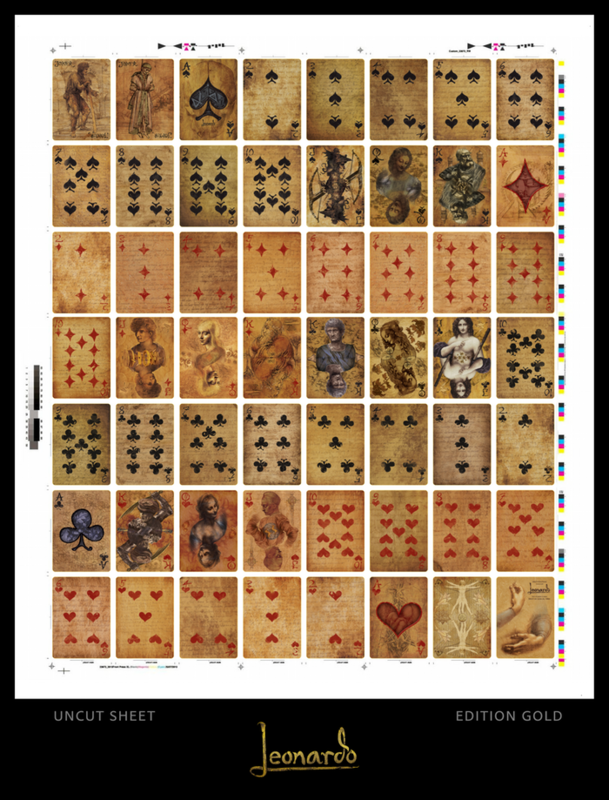 The designer at first planned to get the deck printed by the United States Playing Card Company (makers of the much-loved Bicycle, Bee, Hoyle, Aviator, Tally-Ho etc. decks) and set a target of $50,000 with which to achieve this. Well, you don’t need a calculator to see that this deck exceeded all expectations – I think even the creator was very pleasantly surprised!!! However, he decided in the end to get the decks printed by Legends Playing Card Co. who’s quality is on a par with the All-American stalwart. Not only is each and every court (face) card a work of art in itself, even the very pip (number) cards have such amazing detail that they themselves are truly magnificent. 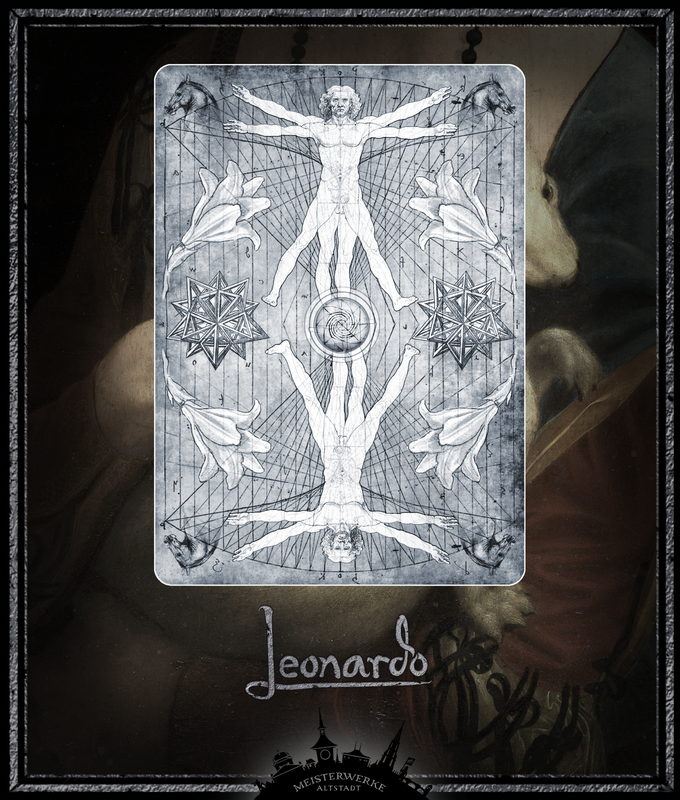 Even the background to each card is different – some are light, some are dark, some are in between, and they all have faint indecipherable ancient script writing in the backgrounds. Basically, every card has been created from scratch. The numbers, pips, colours. Every aspect. And THIS, my dear beloved readers, is how you manage to get 1568 people to part with $81,204 of their hard earned cash. Anyone can design a deck of playing cards. Heck, believe me, people are ALWAYS designing decks of playing cards. But only a few can actually ‘create’ a deck of playing cards. That we want. And that we’re willing to pay for. I’m not talking about your everyday run of the mill playing cards that you buy at the shops for little more than the cost of a pint of milk. Take them home, open them and good luck with even trying to shuffle them with a touch of decorum, never mind dealing them out and playing with them for a night’s entertainment!! But sometimes, we all need that little bit of class in our lives. 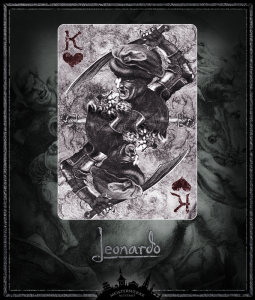 And this deck – even if it’s “only for the one wee hand every now and then” – will definitely bring that class to your poker table. 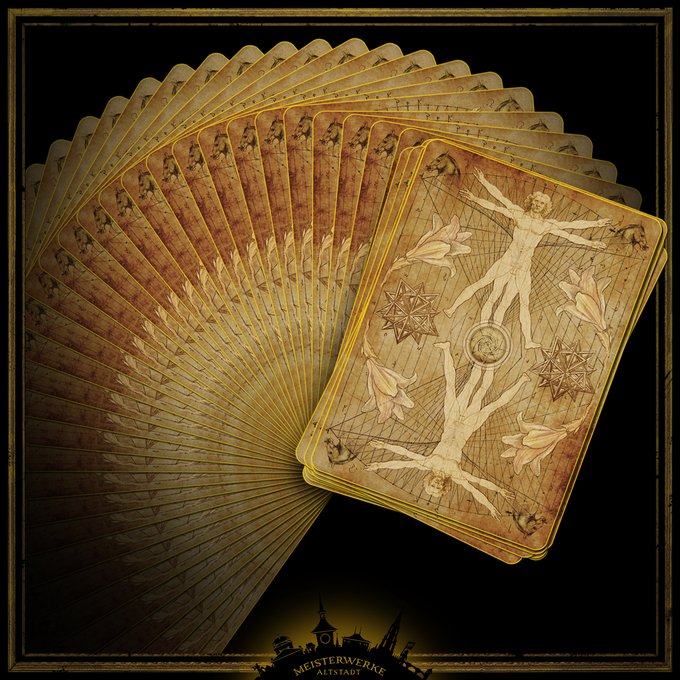 There are 3 versions of this deck – the Gold, Silver, and Limited Edition Platinum. Each one is amazing in itself. I’m lucky enough to have the Gold and Silver decks as well as one each of the Gold and Silver uncut sheets (heading to the framers this very week, I kid you not!) And I also have a very few spare decks that I’m selling on this site now. Click HERE to get yours. 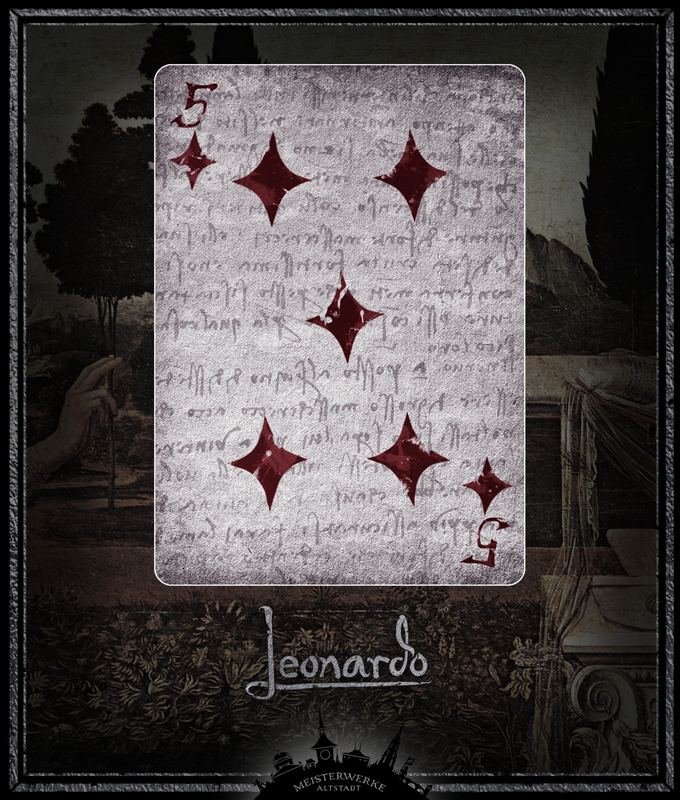 Why not have a look at the original Kickstarter page for the Leonardo Playing Cards. Don’t forget, they’ve already been funded and printed by LPCC and you can get yourself a deck or two right here. 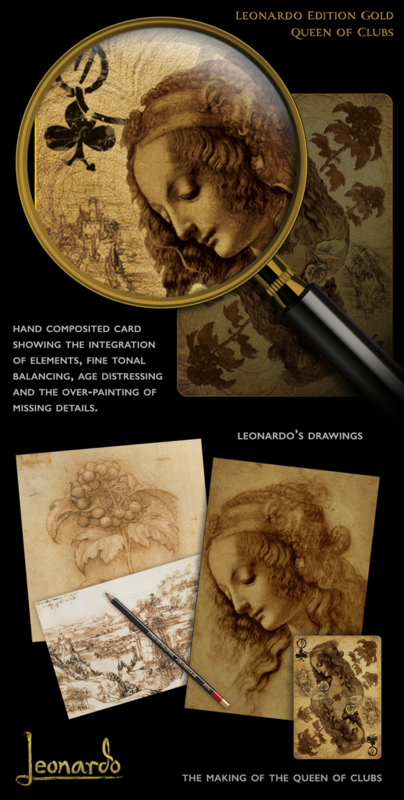 These Leonardo Da Vinci cards are spectacular! Not only is the artwork stunning, I like the way the background of each card is a slightly different shade. And the two-sided face cards are really nice too. You can tell they really spent time and effort to come up with such unique designs. Overlooked a bit is the back of the cards. I like the Vitruvian Man design, especially with the yellowish-gold edge. Really sharp looking. While I wouldn’t actually play with such a beautiful deck I might put the sheet on my gift list. I think it would look great in an antique gold frame. Wow, I like many have played cards off and on all my life and have never seen anything like this. As I read through some of the awesome comments from others I have to agree, it would be hard to decide to play with these cards vs. them being a conversational piece. Great idea and very unique. I’ve purchased myself through Kickstarter before and believe they’re a wonderful company that gives inspiring entrepreneurs a voice and platform. I have to say I will probably be going back to your site to perhaps pick up a deck or two for myself and will definitely be sharing with friends on Facebook. Here’s wishing you all the best life has to offer and continued to success from a fellow WA member. Hello Paul and thank you for your comments :) It’s true, without Kickstarter (and other crowd funding platforms) most of the decks printed in recent years would never have seen the light of day. Some playing card printers (for example USPCC) have a minimum order quantity and want paying up-front, meaning that the card designers would be paying out a lot of money for something that might or might not sell. With Kickstarter you raise your funds AS you sell your product, so it’s perfect for playing cards. 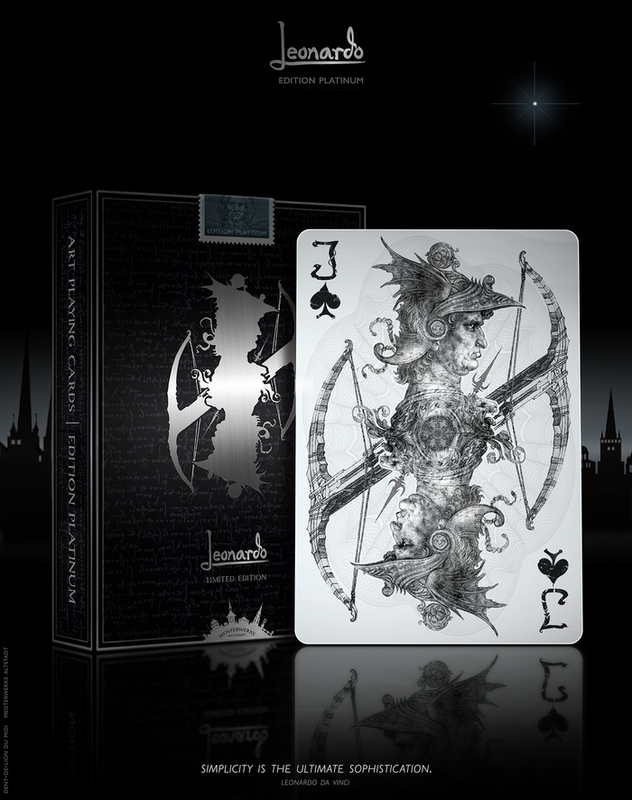 This deck of cards looks freaking awesome! I love the style of art work. The style creates a very convincing ancient appearance. They have a dark creepy vibe to them, which I love personally. I would love a set of these some day. So many beautiful decks of cards on this site. I’m blown away! such a cool and unique article, I never thought about anyone collecting playing cards. I never knew there was so many different types of cards either until today. All the cards you display on your website are just awesome, so beautiful to the eyes. How long have you been collecting playing cards, how many do you have in your collection at this time. You have a truly unique and fascinating website here. I have to agree that the artistic detail on these cards is exquisite. Really amazing! Not being a collector, I have to wonder if you actually use these cards or just display them? They would certainly be an interesting conversation piece. 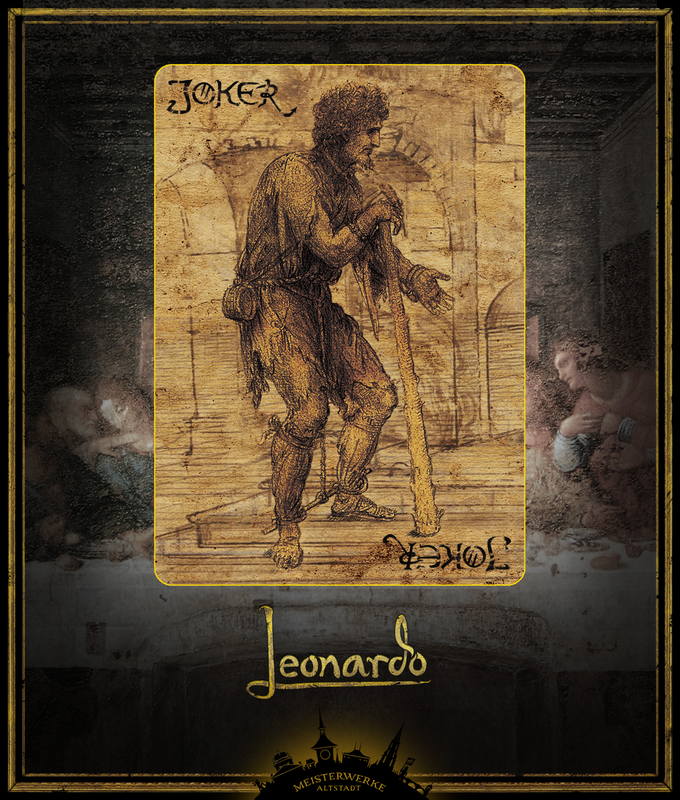 These Leonardo cards look great!! What fantastic artwork, that must have taken a lot of time and skill. I absolutely love kickstarter. Many companies would never get off the ground if it wasn’t for kickstarter. I watched a documentary on netflix about a guy that started a playing card company and his design was money playing cards. They came out amazing and he went through some struggles to get them done in time. 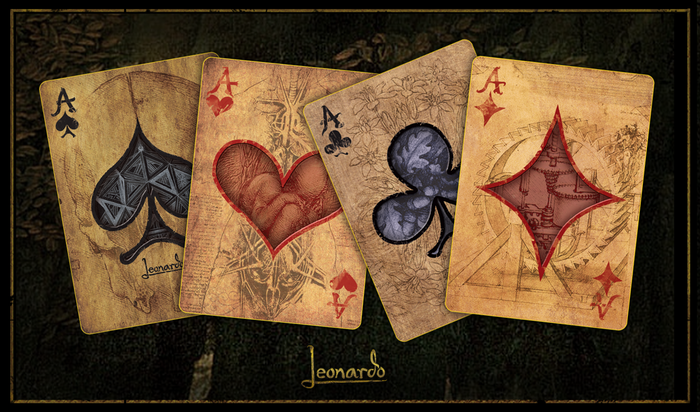 Leonardo’s Aces were especially beautiful to me. What an interesting. unusual collection! But as long as there are beautiful playing cards I will keep collecting. Jyl.